The People’s Platform is a growing initiative to positively impact urgent climate policy related issues. Over 66 Colorado groups have already endorsed the initiative, representing hundreds of thousands of Coloradans’ desires for strong climate policy that will protect our health, economy and natural resources. 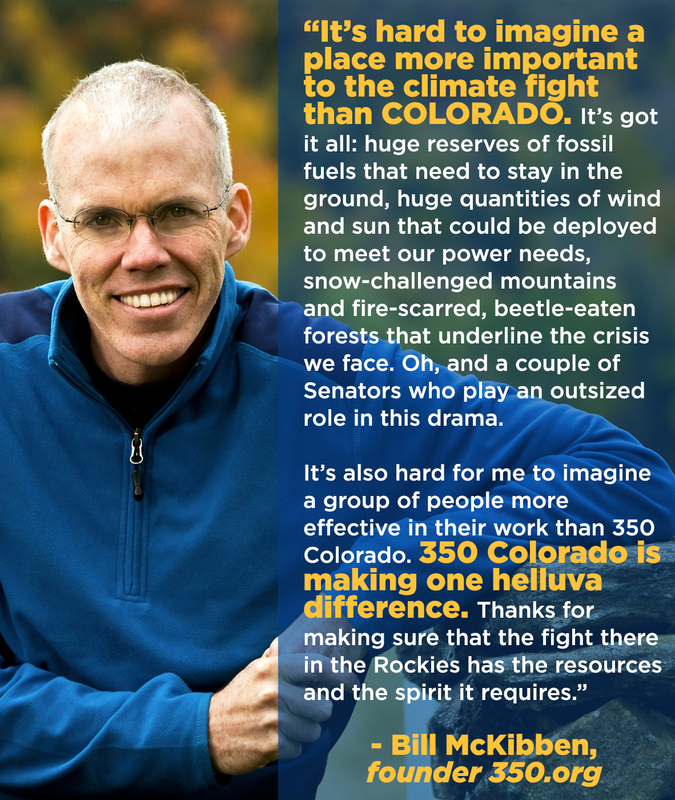 Click here to read and endorse the Colorado People’s Climate Justice Platform. Groups, businesses, elected officials and candidates are urged to endorse! Share why you care about climate justice with your communities, organization and candidates. Check out our outreach toolkit here for sample social media posts and emails. Urge your candidates and elected officials to endorse this platform! Talk to candidates at events about climate justice issues. Use our Bird Dogging Guide, found here. Check out and share the People’s Climate Justice Platform Educational Guide to learn more about the issues. The CO People’s Platform aims to unite Colorado during the 2018 election cycle around climate, jobs and justice. Climate change is often one of the least talked about issues during elections, we are working to change that narrative and make it a key issue. We are working to create strong coalitions across green, community, labor, faith groups and beyond. We aim to strengthen the local movement and educate leaders who will ignite a just and rapid transition from fossil fuels, prioritize public health and safety and protect our natural resources. We are working with a coalition of over 60 organizations who are advocating for the advancement of the issues highlighted in the People’s Climate Justice Platform. We are actively encouraging candidates to endorse the platform, and we are sharing why climate justice is important to each of us via social media and our communities. Our goal is to elevate climate justice during this election cycle and beyond. Last November, we co-hosted a bipartisan candidate forum for the candidates for Governor. Many of the questions from the environment and energy section were pulled from this platform! You can check out the video below.